8) As a 30-odd year old male, who's only cosplayed once (as Max Payne)...I'm not sure I'm able to answer this. I don't think the dudebro concentration is all that high, but I'm well...a dude, so I'm not necessarily as aware of it as some. I do know that LOTS of folks cosplay there, and not just as game-related stuff, so I think you'll be fine. 1) It's gotten pretty spread out, but the core of the stuff is gonna be around the WSCC with the satellite hotels hosting panels and other assorted things. 4) No official charging station as far as I know, you'll want to bring your own charger and cable. I'd highly recommend buying a portable battery pack (I personally use an Anker Powercore 15600). 5) It really depends on the panels. If you use twitter, follow @pax_lines, they try to give line updates throughout the day. 6) Historically, it's been in the ACT Theater. You can enter from around the corner or through a hall just past the escalators in the WSCC. 7) Lots of types of vendors: local shops, publisher/developers, third party merch sellers (like Sanshee or FanGamer). There will be tons of PAX merch on site too. 8) The cosplayers at PAX hit a pretty broad range of stuff, so I think there's a general genre. I'd suggest you post in this year's cosplay thread for more insight from cosplayers. 3. This is preference, but I like to start with the main expo halls in the WSCC and then go from there. 4. 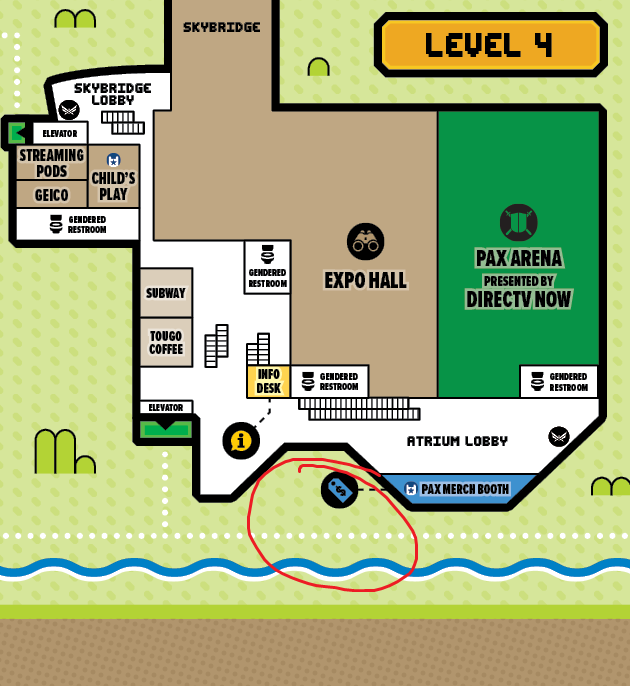 I recommend a power bank as well and bring my own, but when I've needed to plug in directly I have always been able to find an outlet along the walls of the Annex (the building connected to the main WSCC but over the Skybridge, then down the escalators in the back of that side of the main expo hall). As for your genre... My friend and I are doing a 50s Black Widow and Scarlet Witch So the ballet take may not be super normal, it's not too abnormal. And will probably be more identifiable than my Scarlet Witch. 1) As far north as the Westin Hotel, and as far South as Benaroya Hall. There is a map available in the Guidebook app. 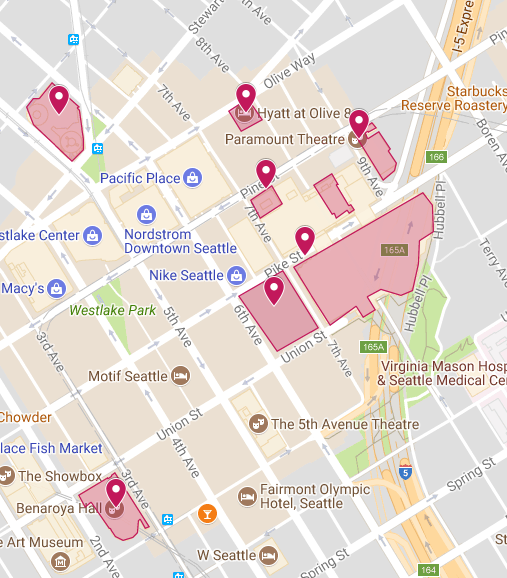 2) Locals to the area would likely be either driving or taking public transit, people coming from out of town stay at one of the many hotels throughout downtown Seattle. 3) If you're coming from south of Seattle, I recommend the Light Rail. It runs on a consistent schedule, avoids traffic, and Westlake Station is only a few blocks from the convention center. 4) Bring your own cables and an external battery pack (or a few). That way, you're not going to be scrambling when your phone's battery runs low. 6) Cards Against Humanity in past years had the kitten room in the ACT Theater (first floor of the convention center, behind the escalators), although there's no guarantee they're bringing it back. 7) A handful of exhibitors do sell stuff, as well as there being a couple official merch booths. 8) As a gaming event, PAX will most likely be male dominated, but harassment is explicitly forbidden by convention rules. If someone were to start hitting on you, immediately let an enforcer know. As for what characters people cosplay, while it isn't as common as at other conventions, people do cosplay many different characters within and outside the realm of video games. Also Black Widow also appears in a bunch of Marvel games, so you're fine either way. This is a map of what PAX's official presence covers. The reality is that the people at PAX will just take over the whole general area. But especially between those points. I may have missed this in another post, but does anyone know how much it is to park at the convention Center? Or if there's other areas nearby to park? Need to have use of the car or would do a bus or light rail, so trying to find our options of parking.. The rates are on the wscc site, there are 2 garages and I want to say neither of them is over 29 for 24 hours (I'm on mobile atm or I'd just copy it for you but it's really easy to find). Hotels also often open up their garages, though I think a lot of them cottoned on to PAX weekend = gouge for parking because last year the prices jumped from like $15 to $30. I just noticed this question, but I've cosplayed Ada Wong several years in a row and have never been harassed. You get asked for pictures a lot and people randomly yell your character's name (I assume those are people who are excessively delighted at your costume), but most people at PAX seem happy to just admire your costume in passing and maybe take a photo (or if they're super shy, possibly gawk from a distance). Should I contact the hotel I made a reservation at to make sure that i'm in their system? I heard they get the list of people two weeks before PAX. What are the overall temperatures like? Are they consistent, does it vary place to place, or is there always that one place that is cooler/warmer than the others? Also, is there decent airflow or is it stagnant? Are you talking about the venue buildings? There are 8 different venues for West and several are very large. They vary quite a bit in how the AC functions. Add in the variables of different size crowds in different parts of PAX based on the schedule and time of day. If you are sensitive to temperature changes, I'd recommend some layers. But keep in mind there are no PAX coat checks at West. Yep! Im picking out some clothes for the occasion. If anything I do not want to be freezing similar to how some restaurants purposely do. I would prefer to wear capris, but I see a lot a people in videos wearing pants at Pax. I know people do that because it is their preference, but I do not want end up getting goosebumps! I can only tell you my group's experience with this, but we have a few of us of varying sizes and often we're all slightly sweaty, but never bad. In fact, while you say you've seen a lot of people wearing pants, I'd say it's normally comfortable enough that that could work, but my group goes in shorts and t-shirts and can still get warm. I suppose it's preference though. I can tell you in costume I generally start sweating on the expo floor from the heat of all the warm bodies. The sky bridge is a haven on the expo hall for me. It tends to be cooler and less crowded. Outside the expo floor, I don't usually notice the temperature either way. But remember, outside temperature is often fairly cool in Seattle - generally nice, but morning queue can be chilly. Question about Playstation VR: previously, at least at East, they have had a sign up that you needed to do online before the show to book a time slot. Are they doing that again this year, and if so, where? I didn't see info about it on their site either way. I just remember going up to their booth and they told me that all their slots filled up online before East even started. That would be the Experience Playstation app. Though they have not mentioned anything about Pax West, it seems the last event it was used for was E3, so I'm expecting they will update it for Pax West by next week. Thanks! The feedback from E3 is pretty terrible so if they use it for PAX I hope they improve it. I downloaded it to keep an eye on it though, thanks for the info. Parking is a nightmare. Arrive early if you want to park within 5 blocks of the WSCC. It is all around $30 per day. On Sunday some lots do have a cheaper rate, but they fill up fast (again, get there pre-9am). It's always a complete mess. One year appointments went live at 10am, and the convention opened 10 minutes early so everyone was already inside with no cell signal so they couldn't register. Is there a spot in this here forum to let the populace know of meetups/parties outside the convention hall, hotels, etc? I'm coordinating one and wanted to post (if allowed) in the right spot. Thanks! Thanks! The word 'Line' in the title of that immediately made me think it had something to do with queue rooms and other lines so I ignored it. It's sounding like one of my group can't go because something urgent came up, leaving us with an extra set of tickets. I would like to transfer these to someone who will actually use them and not scalp them (for face value, of course). Is there a way I can do this, or would I get in trouble? Hey all, not sure if this is the appropriate place for this but we're looking to have a presence at PAX West. Obviously, we're aware that we're late to the game but if it's at all possible we'd love to either snag a booth or find some way to showcase our product at the event. We're launching a 360° motion controller for gaming next month and just got back from Play NYC which was a ton of fun! I've submitted my information through the form on the PAX West site but thought I'd reach out here as well. Thanks in advance to anyone who can point me in the right direction!! That Exhibitor form is the only method I figure you would get the appropriate person, unless you email them, which is probably bombarded. I imagine they've factored in exhibitors to their badge limits as well. Really short notice, so good luck. How formal/informal is it? Maybe you inquire about something offsite and advertise it that way, though I would also ask if you could use PAX mediums (media?) to promote. You can try [email protected] but that really goes to the same place the form you filled out goes. Its very late for this PAX West which is 9 days away. They already have a waiting list for any booths that happen to cancel. However you might try PAX South in January or East in *redacted* Spring. Or Aus of course is October, but that might be a bit far for you. Best of luck.  Hope to see you at PAX sometime in the future. so, I'm looking at the maps and I'm not sure if I'm just missing it, but is there not a queue room anymore for you to line up in the morning for the expo hall to open? If so, where do you line up now? Yes, there is no queue room anymore. You line up outside. ok, just so that I understand...you basically line up in the atrium lobby where the merch booth is? What was the reasoning for the removal of the queue room? Line is it's literally on the park behind the Convention Center (which I did not know existed until last year Security and Enforcers inside the CC will direct you to the right area). There is also a 2nd line for the Annex entrance, which is on the street. The key to deciding which one to pick is what booth you want to visit first. I always use Bethesda's booth as a reference to locate myself, the Annex escalators spit you out right behind their booth. You line up outside the entrances by the merch booth in the park there. Or, as SinoSamba said, at the other line in the Annex entrance. Last year's line featured heavy rains and very many wet people. what. there's a park? For the Bethesda booth, looking at the expo hall map, it would their booth 1313 right? wait, so, there's a merch booth outside the convention center that's not the mini booth? I'm a little confused, sorry. I want to know where to go and whatnot since it's been a while since I've been. There is a small merch booth in the Sheraton across the street. The main merch is on the 4th floor to the left as you get off the main escalators. On this map, you would line up on the area circled in red here. You'll be directed where to line up if you show up in some other place, no sweat. The Sheraton merch booth is the only one that sell the show Limited Edition pins. And the line starts early. Like at least a couple hours before it opens. But I'm not sure exactly when you need to arrive to have a good chance of getting them.